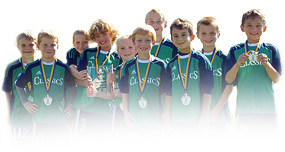 The PA Classics 6v6 Summer League is a fun opportunity for players to stay active playing soccer over the Summer. This league is open to both PA Classics players and players from outside of the club. Games will be held on Sunday afternoons. Each Sunday, a team will have 2 scheduled games: play a game, sit a game, then play a second game. Games will be at 2pm & 4pm or 3pm & 5pm. Each team will have a total of 10 games, so even if a family misses 3 of these dates, a player would still get 4 games. Rosters will be bigger, so as to take into consideration that players will have to miss some of the dates due to vacations and family summer activities. Rosters will be assigned by PA Classics staff.